With the spectacular backdrop of a frozen ocean, Luleå-based artist Annica Waara holds up one of her favourite paintings to the camera. With the spectacular backdrop of a frozen ocean, Luleå-based artist Annica Waara holds up one of her favourite paintings to the camera. It resembles a reindeer that Annica and her cousin spotted among a herd of 3000. “That particular reindeer had three generations of calves following her, which is pretty unusual. 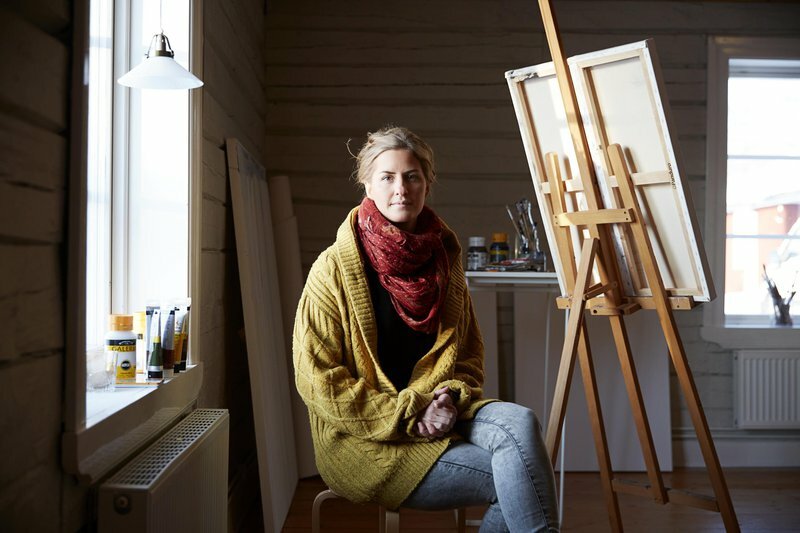 It was such a special sight and I decided to title the painting Individual,” says Annica, whose grandmother was part of the last generations of Sámi reindeer herders. “My grandmother left me a book where she described her upbringing as a nomad. I’m intrigued by how life has changed completely in such a short time,” she says. In a place where people still live very close to nature it is easy to understand where Annica sources her motifs. Her signature style is clean and simple, using only a few bright colours to vividly express her feelings. “When I lack inspiration I head to the forest and refill on energy,” she says, and despite the region’s lack of it during winter – light – is her biggest source of inspiration. “With such a dark winter there is a huge demand for it. When light shows I feel I have to catch it, light puts all colours in their right element,” she describes. Painting has always been a big part of Annica’s life, but it was not until reading a letter from her 11 year-old-self on her 30th birthday, that she realised it was more than just a hobby back then as well. “I had written that my dream was to one day work as an artist and to live in a house by the ocean. It was fascinating to realise that both things had become a reality at the time,” she says with a smile. 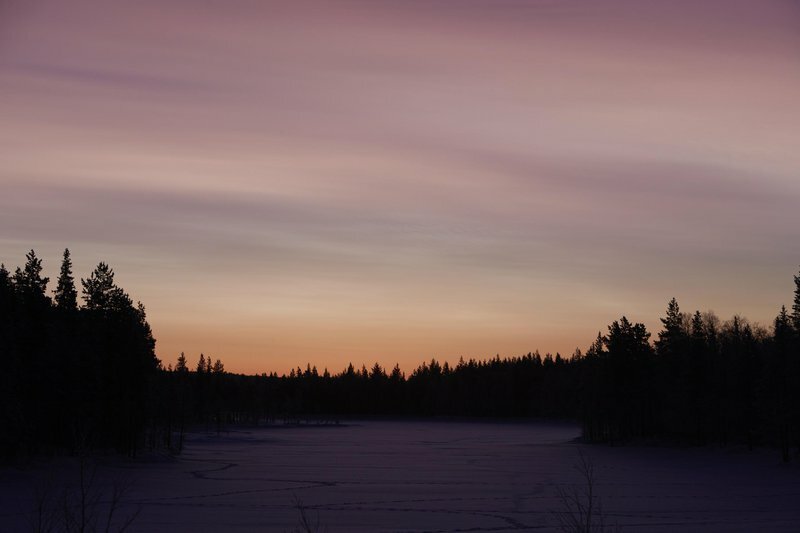 Sweden may be a cold and dark place during winter, but is that it? Stockholm-based writer Jonna Dagliden Hunt explores the opposite, how Swedes not only learn to survive but thrive during the coldest and darkest season. Mia Stålnacke’s journey in photography started in a very dark place but turned out to be the eye opener that she needed to survive. Curious about the writer, Jonna Dagliden Hunt? Click here to read her top tips what to read on our site.